Over half the states in the Union do not impose income taxes on Social Security benefits. Thirty-seven states plus the District of Columbia do not tax Social Security benefits at all. Thirteen other states tax a portion of Social Security benefits. In these 13 states, six states follow the federal rules for determining the taxable portion of Social Security benefits. The remaining seven states have set their own rules for determining how much of a person's Social Security benefits are subject to tax. Colorado exempts pension and annuity income (including Social Security benefits) based on the age of the individual taxpayers. FYI Income 18: Pension Subtraction for Married Couples When Both Spouses Receive Social Security (pdf, Colorado.gov). 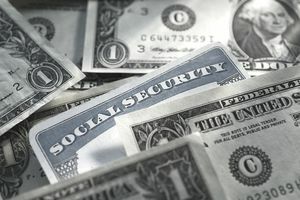 Connecticut partially or fully exempts Social Security benefits based on a person's filing status and income. 2015 Connecticut Resident Income Tax Instruction Booklet (pdf, CT.gov), pages 24-25. Kansas exempts Social Security benefits from state tax based on a person's income. "If your federal adjusted gross income is $75,000 or less, regardless of your filing status, your social security benefits are exempt from Kansas income tax. The exemption for social security benefits applies only to the extent the benefits are included in your federal adjusted gross income" (Frequently Asked Questions about Individual Income: Retirement Contributions and Benefits, KSrevenue.org). Minnesota partially taxes Social Security benefits. "Social Security income may be taxed on your federal return. Minnesota taxes the same amount that is taxed federally. If your only income is Social Security, you are not required to file an income tax return" (Seniors: Income Tax Fact Sheet 6, pdf, Revenue.state.MN.us, page 1). Pending in the Minnesota House of Representatives is a bill that would alter how Social Security benefits are taxed in the state (HF 3847; and Analysis of HF 3847 by Minnesota Revenue (pdf)). Missouri exempts the full amount of Social Security benefits from state tax as long as the person is age 62 or older. Montana -- "Your social security benefits taxable to Montana may be different from what is taxable federally. You will need to complete Worksheet VIII, Taxable Social Security Benefits, to determine your Montana taxable social security" (Frequently Asked Questions, Montana Department of Revenue). Nebraska "allows a deduction for Social Security income included in federal AGI if a taxpayer’s federal AGI [adjusted gross income] is less than or equal to $58,000 for married couples, filing jointly, or $43,000 for all other tax returns" (2015 Nebraska Individual Income Tax Booklet, pdf, page 2; see also page 16). New Mexico follows the federal rules for including a portion of Social Security benefits as part of taxable income. New Mexico provides a tax credit to offset the tax on Social Security benefits. This credit is calculated on Form PIT-RC. North Dakota follows the federal rules for including a portion of Social Security benefits as part of taxable income. North Dakota provides a marriage penalty credit for married persons who file jointly and who have North Dakota taxable income of more than $62,705. See page 16 of the 2015 Individual Income Tax Booklet (Form ND-1 Booklet, pdf). "The computation of Rhode Island’s personal income tax begins with federal adjusted gross income (AGI). Modifications to federal AGI for Rhode Island purposes may result in an increase or decrease in federal AGI. ▪ Your federal AGI falls below a certain threshold (please see table below). The income thresholds will be adjusted annually for inflation. Note: First column refers to filing status on your Rhode Island personal income tax return. For a married couple filing a joint Rhode Island return, income threshold applies to couple’s combined federal AGI. "If you clear all of those hurdles, the amount of your income that will be taxed by Rhode Island will be reduced by the amount of your Social Security benefits taxed at the federal level. "Citation: RIGL § 44-30-12" (Source: Rhode Island Division of Taxation, Summary of Legislative Changes, July 22, 2015, pdf, pages 8-9). Utah provides a retirement income tax credit to offset state income tax on taxable Social Security benefits and other types of pension and annuity income. Vermont follows the federal rules for determining the taxable portion of Social Security benefits. "Taxable income," the Vermont Department of Taxes explains, "is defined in 32 V.S.A. § 5811(21) as federal taxable income with certain additions and subtractions." West Virginia follows the federal rules for determining the taxable portion of Social Security benefits. "Social Security benefits that are taxable on your federal return are also taxable to West Virginia," the State Tax Department explains in their 2015 personal income tax booklet (pdf).